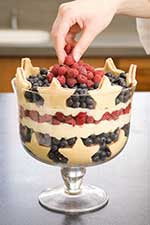 Mixed Salad Annie: Happy 4th!! Not bad for a last minute decision to make this. I didn't have the required ingredients either, so I compromised and this is how it came out. Lets just say it tasted better than it looked!! Here's the real deal... Here's the original recipe! Hope you had a good 4th! 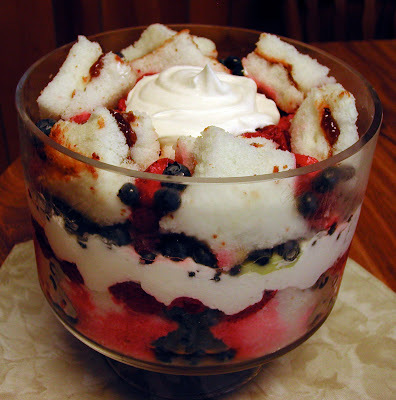 Your trifle looks amazing.